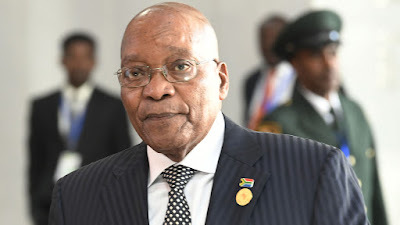 Former South African President, Jacob Zuma, on Tuesday, denied hiding some $30 million belonging to the late Libyan leader, Moamer Gaddafi, in his mansion. “Sigh! I owe millions in legal fees… I now hear that I have been keeping money belonging to my late brother Gaddafi,’’ tweeted Zuma, who is embroiled in numerous corruption scandals. Over the weekend, South Africa’s Sunday Times newspaper published an investigation that said Libyan military authorities have asked President Cyril Ramaphosa to help recover Gaddafi’s millions – now believed to be in eSwatini, formerly Swaziland. “Where’s this money, because His Majesty knows nothing about it?’’ Zuma tweeted, referring to the Swazi king, who the Times said had recently confirmed the existence of the money to Ramaphosa. Before he was deposed and killed in 2011, the Libyan leader had a strong relationship with South Africa and Zuma had offered his “brother” safe-haven, according to the Times. Gaddafi instead asked him to safeguard about $30 million, to be used for lawyer fees should he be taken to the International Criminal Court, the Times said. After keeping the money at his luxurious rural home Nklanda – itself a source of Zuma’s myriad troubles after he used public money to pay for upgrades – Zuma then gave it to King Mswati of eSwatini to look after, the paper alleges. However, South Africa’s International Relations Minister, Lindiwe Sisulu, has rubbished the Times story. “This is a story that has been circulating for many, many years, that the Libyans had brought their money here,’’ she told reporters this week.